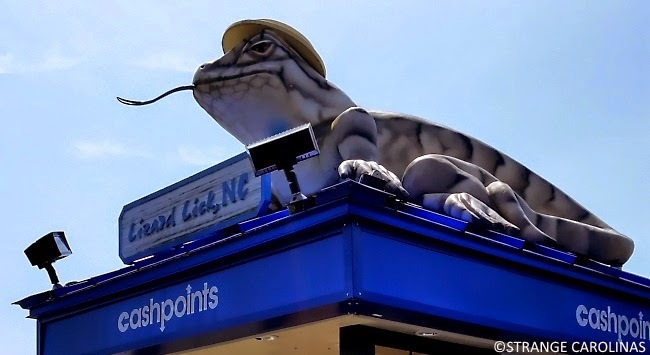 There is a giant lizard on top of an (the?) 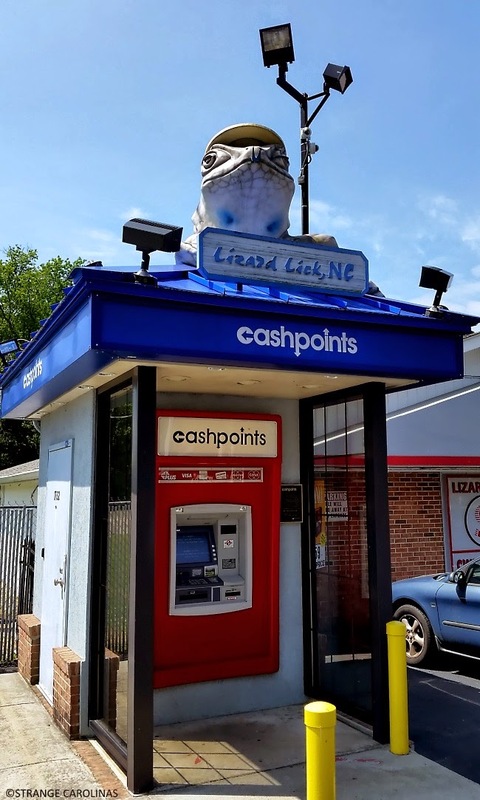 ATM in Lizard Lick, NC. The Lizard Lick ATM Lizard is right across the street from Lizard Lick Towing, which was featured on the aptly-named truTV series Lizard Lick Towing. 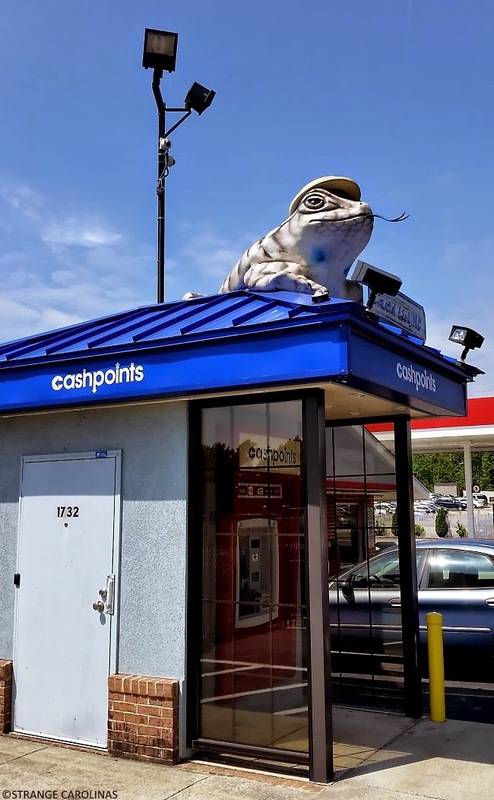 The Lizard Lick ATM Lizard wears a hat. I do not know why. Side note: if you ever want to get lots of dirty looks, take photos of an ATM. People love it! Thanks for it.But with the help of vancouver towing service, for towing it will have no need. Tow Truck Now services LTD is quite responsible in work.